On May 19, the Ukrainian government passed an amendment to its Family Code to require orphans to be registered on the central adoption registry for one year and to be at least 5 years old before they are eligible for intercountry adoption. The amendment exempts children with certain special needs, relative adoptions, and sibling adoptions. The proposed amendment will take effect in June of this year and names the Ministry of Social Policy as the responsible authority for adoptions procedures. We will continue to encourage the Ministry of Social Policy to ensure that pending adoptions between Ukraine and the United States are not interrupted as the Ukrainian Family Code is amended and the procedural and logistical aspects of the transfer is implemented. According to SDA, there are now 139 U.S. families registered with the SDA, some of them already in-country. We are asking all American families that are currently in Ukraine or have appointments with SDA during the next few weeks to send their contact information to the U.S. Embassy in Ukraine's Adoption Unit at: kyivadoptions@state.gov . Families should contact their local adoption service provider for further updates and details. The following letter was provided to PEAR for publication at large. It follows up CICIG's request for clarification from Senator Landrieu on her comments questioning the legitimacy of the CICIG report Players Involved in the Illegal Adoption Process in Guatemala since the Entry into Force of the Adoption Law referenced in our blog on May 4, 2011 - http://pear-now.blogspot.com/2011/05/cicigs-report-on-players-involved-in.html. Senator Landrieu has not yet made a statement clarifying her position on the CICIG report. During your short visit at the end of April to Guatemala, your agenda did not include Fundacion Sobrevivientes. As a result, I am writing this letter on behalf of the organization as well as the women of Guatemala who suffer living in the most violent country in the Western Hemisphere. We have the shameful statistic of two deaths of every day as a result of femicide, in addition to countless rapes and alarming rates of domestic violence. All of these social problems fuel human trafficking. On the issue of human sales, I am writing on behalf of the mothers who have lost their children to human trafficking, including illegal intercountry adoptions. I am currently very concerned about three specific cases—three young girls we know as Karen Abigail, Heidi, and Arlen Scarlett. Since we share the same opinion that criminals must be prosecuted, especially those who were involved with illegal adoptions from Guatemala, I know that you will be sympathetic to these cases. In regards to progress on that mission, I am happy to report that a notorious adoption attorney, Susana Luarca was just arrested last week for her involvement with the case of Karen Abigail. While this is a good step forward, Luarca’s arrest is just one of many that are necessary to prosecute the criminals involved in the hidden structures of organized crime and adoptions in Guatemala. Given your commitment to justice, I am asking for your assistance in our quest for further criminal hearings. As I am sure that you know, the Government of Guatemala made a formal request to the US Department of Justice (DOJ) for the DNA tests of Karen Abigail, Heidi, and Arlen Scarlett. Their mothers Loyda, Raquel, and Olga ask that you use your influence and passion for ethical adoptions to help move this cause forward. This DNA request, dating back five years now, has yet to receive a satisfactory response from DOJ. We still await test results to legally and officially verify the child abductions and confirm the whereabouts of the girls in the USA. Further, in the USA, we need a collaborative law enforcement response above and beyond the DNA tests. We have reason to believe that Celebrate Children International (CCI) adoption agency of Florida was involved in the aforementioned illegal adoptions. I assume that you know there are well over a thousand documents related to complaints and other documentation on file with the state of Florida licensing board in regards to this agency (CCI). As we say in Guatemala, there is a “mountain” of evidence indicating this agency’s poor practices and illegal activities taking place in my country. Another agency is Felicity Children in Miami and we suspect, like CCI, that this agency was also involved in illegal adoptions. Finally, others who must be investigated include social worker Elizabeth Thomas-Colwell who was formerly a licensed social worker (LCSW) in the state of Illinois. Again we have reason to believe that she was involved poor practices and potentially illegal adoptions. I appreciate your response to this open letter. The Mexican Central Authority (MCA) has provided the U.S. Central Authority (USCA) with information clarifying its process to authorize U.S.-based Hague accredited adoption service providers (ASPs) to provide adoption services in Mexico. All prospective adoptive parents seeking to complete an intercountry adoption in Mexico must work with an ASP that has been authorized by a competent Mexican authority on either the national or state level. The national office of the Desarollo Integral de la Familia (DIF) provides national authorization of ASPs. In addition, state DIF offices do not have to recognize national authorizations and have the discretion to provide state-level authorizations to ASPs. The MCA has informed us that, to date, only one ASP, Carolina Adoptions, has been authorized at the national level by national DIF. Twenty-nine Mexican states, plus the Federal District, have confirmed that they will accept Carolina Adoptions’ national authorization (please see the MCA state-by-state list provided). The state of Jalisco does not accept Carolina Adoptions’ national authorization, but has authorized Across the World Adoptions to operate there. The state of Nuevo Leon indicates that it does not process intercountry adoptions. Please note that because state DIF offices may authorize additional ASPs on a case-by-case basis, prospective adoptive parents (or their ASPs) must contact the DIF office in the relevant state to confirm whether a specific ASP has authorization, as well as provide USCIS, National Benefits Center, with proof of that authorization from the state level at the time of filing their case. Please note that Carolina Adoptions has informed the USCA that due to its full workload of pending cases it is not able to take on new Mexican cases at this time. The National DIF informed us that several additional U.S.-based Hague Accredited ASPs are in process and pending authorization by the National DIF. As soon as we receive updated information we will publish additional public announcements. The USCA will continue to work with the MCA to clarify how best to confirm that prospective adoptive parents are working with an authorized provider as authorizations continue to be granted at both the national and state levels, and more information will be provided at a later date. Note from the Office of Children's Issues: The below list of U.S. Hague accredited adoption service providers that are authorized to provide intercountry adoptions services in Mexico was provided to our office in April 2011 by the national office of the Desarrollo Integral de la Familia (DIF). The information is subject to change. Prospective adoptive parents should verify this information with the national DIF before proceeding with an intercountry adoption. Agencias acreditadas por Estados Unidos, y autorizadas en México, con el objeto de realizar adopciones internacionales con este Sistema Nacional DIF, y los diversos Sistemas Estatales. The U.S. Embassy in Kinshasa has been verbally informed by the Direction Generale de Migration in Kinshasa (Immigration Office) that a change in regulation will now require prospective adoptive parents to travel to the Democratic Republic of Congo to pick up their child in order to receive exit clearance. This change has not yet been confirmed in writing, which the U.S. Embassy has requested through formal diplomatic channels, nor have any other details been released. Prospective adoptive parents are encouraged to work with their agencies regarding details of any planned travel to bring their children home. The U.S. Embassy in Kinshasa will post any new information that becomes available on adoption.state.gov. The news this week that Chinese Family Planning officials had raided a small farming community in rural Hunan Province and confiscated nearly twenty young children has citizens in China understandably outraged. Family Planning officials are already despised by most Chinese, due to their ability to blatantly and capriciously impose their will on local families. As the New York Times described it, villages and towns are often "private fiefdoms run by local party officials." This story, in which Family Planning confiscated children to "sell" to overseas foreign families through the area orphanage, has ignited a firestorm of outrage in China, most of it directed at the Family Planning establishment. This anger is largely misdirected. Although the Family Planning officials are certainly guilty of myriad sins, the majority of the guilt for these events should be directed at the orphanages themselves. Most would assume that orphanages in China are set up to care for abandoned children found scattered around the countryside. What is usually overlooked is that with the introduction of international adoption in 1992, fees paid by foreign families has become a substantial source of revenue for China's social welfare program, revenue that is used to build lavish and impressive orphanages and Old Folk's Homes, used to "benefit" local and Provincial authorities, and used to pay the salaries of an entire bureaucratic structure dedicated to international adoptions. Everyone involved in China's international adoption program has an incentive to keep the program going. The payoff is obvious -- for every child adopted by a foreign family, the orphanage receives $5,000 (35,000 yuan) in "donations". The Gaoping Family Planning confiscations has its root not in the Family Planning restrictions, but in the Shaoyang orphanage. Area residents reveal that before 2000, Family Planning officials would punish a family for having an overquota child by smashing their furniture or destroying their homes. "Since 2000 they haven't smashed homes. They abduct children," one local resident stated. The change occurred when the orphanage began to reward the Family Planning official who confiscated a child with 1,000 yuan cash. Now, instead of having to expend energy smashing a couch or end table, the officials could simply take the child and be paid nearly a month's salary as a reward. In 2005, six orphanages in Hunan Province were caught buying babies from area traffickers. Although those six orphanages largely ceased participating in the international adoption program after the exposure, many other orphanages inside China have continued to buy babies from traffickers unimpeded. Press stories by ABC News, the L.A. Times, and others show that buying babies is still prevalent, and statistical analysis reveals that a majority of children adopted from China entered the orphanage through Family Planning confiscations, outright purchase, or through other "incentive" programs. Rather than being safe-havens for unwanted and abandoned children, China's orphanages are more accurately described as businesses, seeking to maximize its benefit like any other profit-seeking enterprise. continue to make "deals with the devil", whether that be area baby traffickers or the local Family Planning officials. **Brian Stuy is the owner of Research-China.Org, a firm committed to obtaining pre-adoption information for children adopted from China. He is a member of PEAR (Parents for Ethical Adoption Reform). He can be contacted at BrianStuy@Research-China.Org. Allegations in the Chinese and other international media are emerging concerning reports that babies were confiscated under the country's one-child policy and put up for intercountry adoption against their families' wishes. Adoptive and prospective adoptive families should fully investigate adoptions programs both with their agency and through independent and alternative information sources. Be aware of potential issues and be prepared to make hard choices. Don't just open your hearts, open your eyes and ears as well. The US DOS has not yet confirmed the lifting of the moratorium, please refer to the adoption.state.gov website for updates and confirmation. 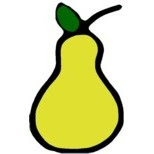 PEAR will post any DOS public announcements as they are made. A mother - daughter team of researchers is putting together research on the relationship between adult transnational adoptees and their adoptive parents. The goal is open dialogue between adoptees and their adoptive parents on issues related to transnational adoption. *From the Finding Fernanda website - "Finding Fernanda is a dramatic true story and a carefully reported work of investigative journalism that brings readers on a gripping journey into the world of international adoption corruption. The story follows two mothers, one American and one Guatemalan, whose lives abruptly collide while searching for the same little girl. Each woman unwittingly ends up playing a pivotal role in what was one of Guatemala’s most profitable underground industries: the buying and selling of children for international adoption". CICIG Report on on Players Involved in the Illegal Adoption Process in Guatemala since the Entry into Force of the Adoption Law is now available in English. Latin America is one of the most unequal regions in the world, with one of the highest rates of violence, which affects mainly women and children. In Guatemala, people aged 0-17 represent more than half the total population. Although significant progress has been made, Guatemala has not been able to ensure that children can live free from violence and protected against all forms of abuse or exploitation. Impunity, and thus violence, are marking the lives of children and adolescents in Guatemala. For years, many children have been stolen, missing and/or kidnapped for trafficking under the irregular guise of adoption; their mothers were threatened, deceived or even punished in their communities. An example of the consequences of impunity is the fact that in 2007, 60% of lynchings in Guatemala concerned alleged abductions of children. This problem is one of the main concerns of the International Commission against Impunity in Guatemala (known by its Spanish acronym as CICIG). That was precisely why, to support the considerable efforts made by UNICEF in this area, the “Agreement for Cooperation on Studies on Children and Adolescents” was signed to continue supporting the work of UNICEF and institutions responsible for child protection and investigation of crimes committed against children and adolescents in connection with Guatemalan clandestine organizations and illegal security bodies. That is the context of this study. It sets out the results of investigations conducted by the International Commission against Impunity in Guatemala (CICIG) of all domestic and inter-country adoption proceedings conducted during the transition period that started on 31 December 2007 with the entry into force of the Adoption Law and of the first ones processed under the regulations of the new law. The Adoption Law of Guatemala contains the principles enshrined the Convention on the Protection of Children and Co-operation in Respect of Inter-Country Adoption (Hague Convention), ratified by Guatemala. Reducing violence and impunity in this type of crimes requires not only strong political will in the criminal and investigative area, but also that this will be exercised by all the institutions responsible for the comprehensive protection of children and adolescents. That is why CICIG presents specific recommendations and hopes that they will be followed in keeping with the national and international obligations of each State institution in charge of the comprehensive protection system in favor of Guatemalan children and adolescents. Finally, I thank all the officials of Guatemalan institutions who cooperated with CICIG by providing information for this study and thank all my colleagues at the International Commission against Impunity who worked with great professionalism and commitment in the preparation of this report. Guatemala deserves a country worthy of its children, without violence and with institutions that can be trusted. The International Commission against Impunity in Guatemala publicly requests Senator Landrieu to provide evidence to the Guatemalan society on which she bases her comments to disqualify the content of the “Report on actors involved in the process of illegal adoptions in Guatemala.” She was also invited to explain to the Guatemalan society her position concerning the numerous adoptions of children illegally taken away from their biological parents. CICIG informs the public opinion that the report is a result of the work of a team of professional experts who analyzed for 18 months over 3,342 notarial notices from the records of the Attorney General’s Office (PGN) related to adoption processes: 1,412 issued by the PGN and the National Council on Adoptions (CNA); 879 requests and protection measure processes from the Youth and Children Courts; and 153 declarations of adoptability issued by the Courts of Children and Adolescents. Furthermore, more than 50 criminal investigations conducted by the Public Ministry (MP) were analyzed in relation to the crime of trafficking in persons for illegal adoption. From the analysis of the data gathered, it was found that over 60% of the processes for adoption contained abnormalities such as theft and illegal purchase/sale of children, threats and deception to biological mothers, and forgery of documents to carry out “adoption processes” both before and after the entry into force of the Adoption Law (31 December 2007). In many cases there are multiple and clear indications that the illegal procedures were promoted by transnational organized crime who acted along with the participation or acquiescence of state officials. Currently, the Public Ministry investigates more than 325 adoption processes which present serious irregularities. CICIG supports that the international adoptions are an option of life for those children who need it. However, given that the pending processes have serious irregularities, CICIG supports the position of PGN, CNA and MP – competent institutions on the issue – and in particular promotes that each adoption process approved individually, as a minimum, should establish the following: (1) lawful origin of the child; (2) ratification of the biological mother´s consent; (3) determination of paternity through DNA testing; and (4) veracity of the identity of the child and the mother. On the evening of April 7, 2011, President Yanukovych signed a Decree transferring all functions of, the State Department for Adoption and Protection of the Rights of the Child (SDA-- the current central adoption authority of Ukraine), to the Ministry for Social Policy. We do not yet know how the implementation of this transfer will affect processing of adoption cases in the immediate future however the SDA is continuing to process current pending cases at present. We understand the Decree to amend the Ukrainian Family Code to reflect the transfer of adoption authority to the Ministry of Social Policy is currently in effect. However, the SDA has continued to carry out the functions of the adoption authority.We will continue to encourage Ukraine to ensure that adoptions between Ukraine and the United States are not interrupted as the Ukrainian Family Code is amended and the procedural and logistical aspects of the transfer is implemented. According to SDA, there are now 134 U.S. families registered with the SDA, some of them already in-country. We are asking all American families that are currently in Ukraine or have appointments with SDA during the next few weeks to send their contact information to the U.S. Embassy in Ukraine’s Adoption Unit at: kyivadoptions@state.gov . Families should contact their local adoption service provider for further updates and details.